Updated Oceanview-Book for Fall-Wonderful Weather all Fall! 150 yds from beach! If you are looking for a place to totally unwind, listen to the crashing waves, watch the changing ocean, and miles of wide, white sand beach to explore, then you've found the right place! Come share the magic of a wonderful vacation, honeymoon, or weekend getaway in our lovely & comfortable condominium on the beach. The master bedroom has a 32" Flat Screen TV, newer queen size bed and private bath. The second bedroom has 2 twin beds and another full bath. The living room has a 42" Flat Screen TV, queen-size sleeper sofa and is tastefully decorated. The dining room has a lovely ocean view. The kitchen is equipped with a full-size range, refrigerator, dishwasher and microwave, everything you need to make simple or gourmet meals. The double balcony has a great view of the beach, as our unit is located on the more desirable top floor, with an elevator. You'll enjoy the easy access to the beach, pool, and oceanside grill with entertainment. Bike rentals and lighted tennis courts are on site. Rentals are from Saturday to Saturday during the spring and summer. Off season rentals are available for a minimum five-night stay, weekly and monthly. Pets are NOT allowed. 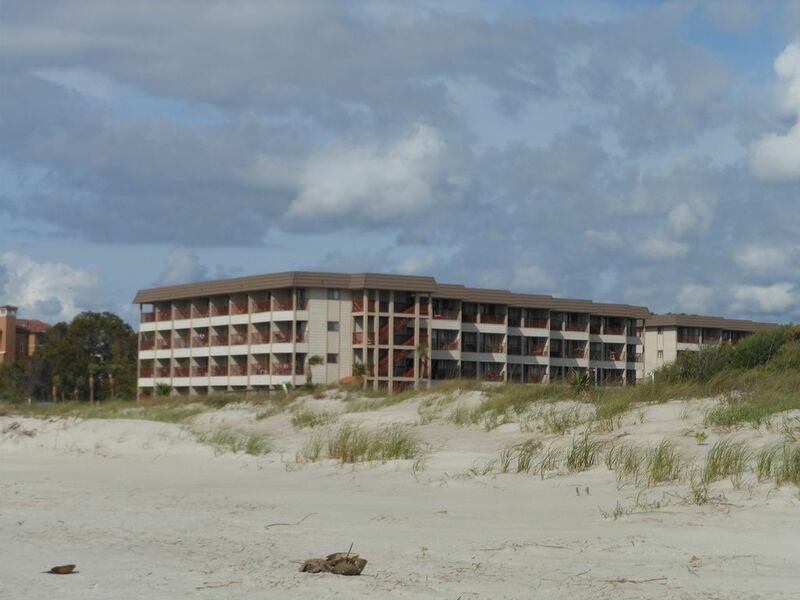 The resort is located mid-island between Palmetto Dunes and Port Royal, close to many excellent restaurants and great shopping. It also enjoys easy access both on and off the island for sightseeing day trips, golf, and water sports. Our goal is to make this the best getaway you've ever had. We have worked hard to equip the condo with everything you need for a memorable vacation. Come Share The Magic; You'll Be Glad You Did! WIFI is available. 42' Flat Screen TV in Living Room & Flat Screen in Master Bedroom, DVD/VCR, Double balcony, Full Kitchen with all newer appliances & plenty of cabinets and counter space, 6 Beach Chairs, Handicap accessible. Very comfortable!